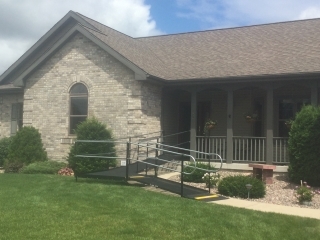 Amramp Southeastern Wisconsin provided access to the front entrance of this Prarie Du Sac home with an Amramp modular wheelchair ramp. 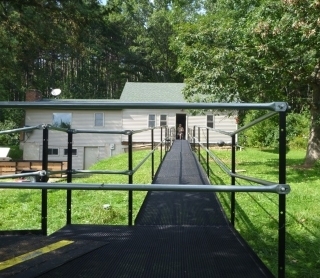 This Lyndon Station homeowner now has easy access in and out of his home with an Amramp wheelchair ramp. 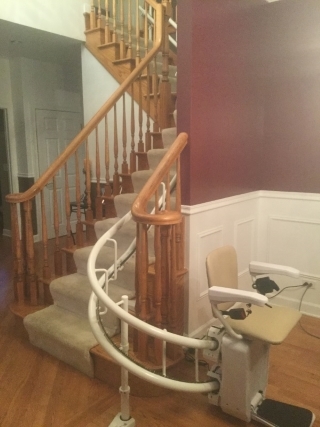 This Walworth, WI resident now has access to the upper floor with a curved stairlift installed by Amramp Southeastern WI.